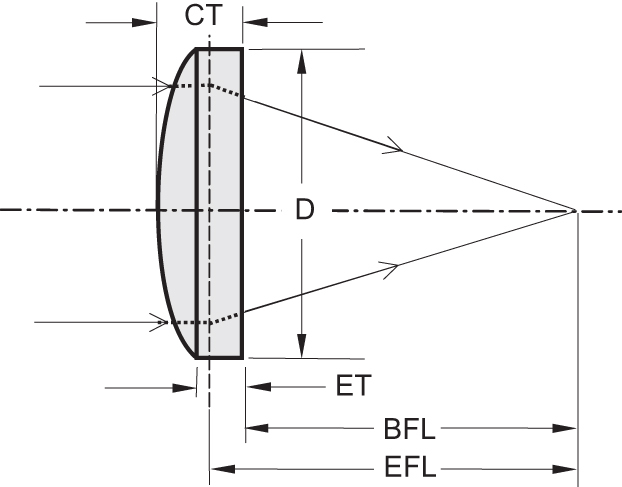 Aspherical lenses are designed to reduce spherical aberration. Complex multi-lens systems designed for compensation of spherical aberration can often be replaced with a single aspheric lense. We offer ex-stock delivery of CNC polished precision plano-convex aspherical lenses made of N-BK7, high refractive index N-LAH64 glass or UVFS. We can produce aspherical lenses of custom design using your drawings or specifications in our CNC lens polishing facility. Lenses can be supplied with anti-reflection coatings under request. Send an inquiry for your custom aspheric lens solution.